Our mission is to develop complete athletes through the sport of lacrosse. 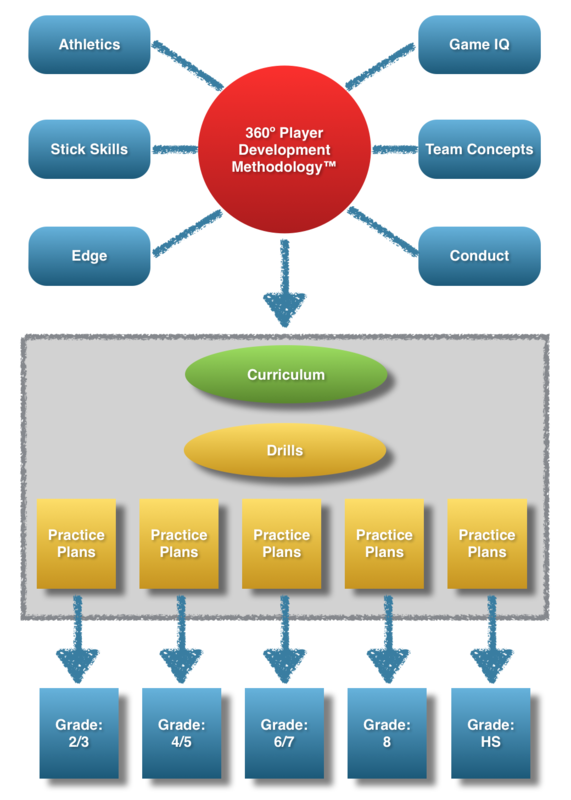 The 360º Player Development Methodology™ (“360” or “360 Methodology”) focuses on 6 Core Components that make up player development: athletics, stick skills, edge, game IQ, team concepts and conduct. 360 is more comprehensive than traditional lacrosse training. It ensures a balanced approach to training players and provides a high degree of transferability. That means what a player learns with 360 also works to enhance other sports experiences. It is much more than just an investment into lacrosse. Below is a list of the specific elements that make up the 6 Core Components of the 360 Methodology. The application of the 6 Core Components for different age levels is managed through the 360 Curriculum. The specific application of the 360 Curriculum at practices and games is conducted via Practice Plans, which in turn are made up of Drills.